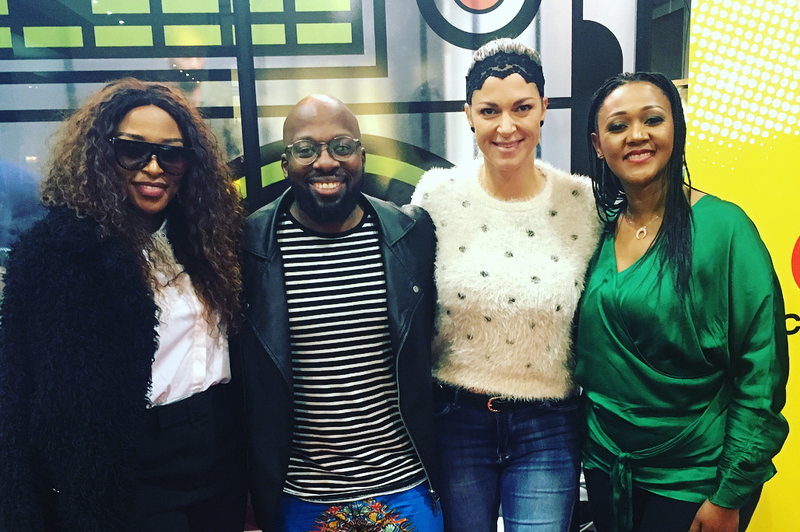 DJ Zinhle joined Bongani and Mags on Friday to chat about her book launch, having co-written 'Meeting Your Power: Returning Home To Yourself' with Nokubonga Mabanga. Watch Bongani and Mags' interview with DJ Zinhle below, or read the details under the podcast. Bongani and Mags were joined by the gorgeous, multi-talented DJ Zinhle, who shared the journey of writing her book. Of course, we all know that another female South African celebrity wrote a book that left South Africa questioning if it ever went in for proofreading, due to its lack of grammatical corrections. Fortunately, this isn't about that. Zinhle talks about how well her career is taking off, and raising Kairo, who recently celebrated her third birthday. During the interview, she spoke about her daughter Kairo and shared her thoughts on what AKA had to say about her during his previous interview with Bongani. @djzinhle has arrived and we can’t wait to hear about her new book, #MeetingYourPower. Introductions, introductions. @bonganmtolo_ meets @djzinhle.